The Florida Region of USA Volleyball was honored to celebrate our 35th anniversary in 2017! 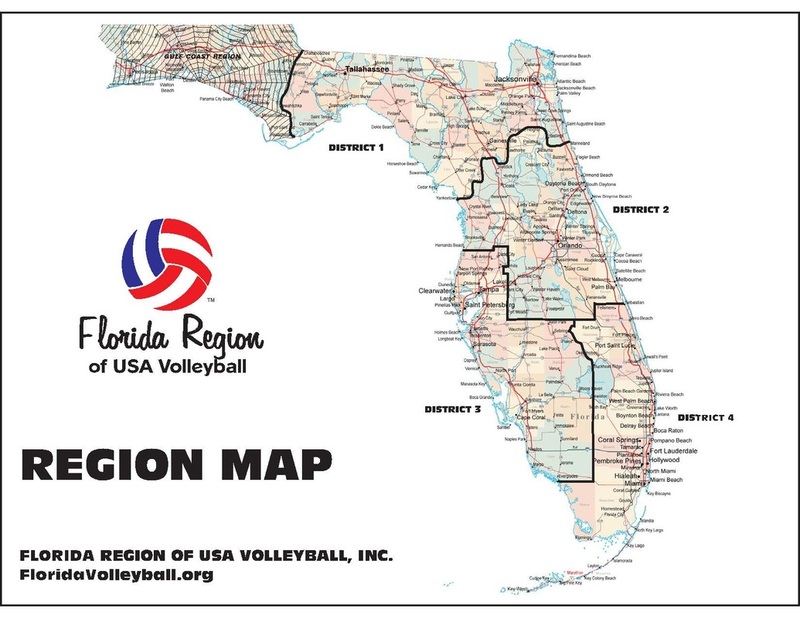 For 35 years, the Florida Region has aggressively promoted the sport of volleyball throughout Florida and has provided competitive playing opportunities for players of all ages. Thank you for helping us celebrate 35 years of this lifetime sport in Florida! 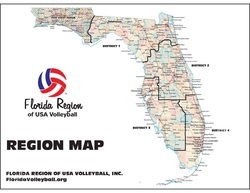 The Florida Region of USA Volleyball began operations in the 1960's and was officially incorporated in 1982. We offer indoor and outdoor volleyball for adults, juniors, coaches and officials. Additionally we offer educational opportunities for coaches and officials annually. Our operations are managed by a full-time staff and our corporate governance is overseen by a 9 member board of directors. We are an affiliate of USA Volleyball, the National Governing Body for the sport of volleyball as designated by the US Olympic Committee. In 2017 the Florida Region celebrated our 35th anniversary. Below you will find our mission statement, vision statement, core values, organizational goals, and our corporate slogans. Our mission is to aggressively promote the sport of volleyball throughout Florida and provide competitive playing opportunities for players of all ages. Our vision is to become the premier volleyball organization in the State of Florida by partnering with USAV member organizations and other corporate partners; and by offering a full range of programs, activities, and events for our members. -A lifetime sport and a lifetime of friendships! -Florida Region Volleyball...Pass It Along! -Indoor & outdoor volleyball for adults, juniors, coaches, and officials since 1982! 1. SERVICE - Deliver the best possible service to our members! 2. VALUE - Create more value at our events and within our programs! 3. EXCELLENCE - Achieve excellence in all areas of operations & governance! 1. Plan and host successful junior & adult regional championship tournaments. 2. Promote the Region through various programs, activities, & events and regularly recognize those members who make our Region better. 3. Enhance the skill levels of our officials and coaches by offering advanced educational opportunities and certifications annually. 4. Increase overall membership by 10%-15% per year. 5. Develop and administer a corporate financial plan that complies with Generally Accepted Accounting Principles (GAAP). 6. Create collaborative partnerships with local and national corporations to grow the sport of volleyball within our Region. Click on map to see a larger version.